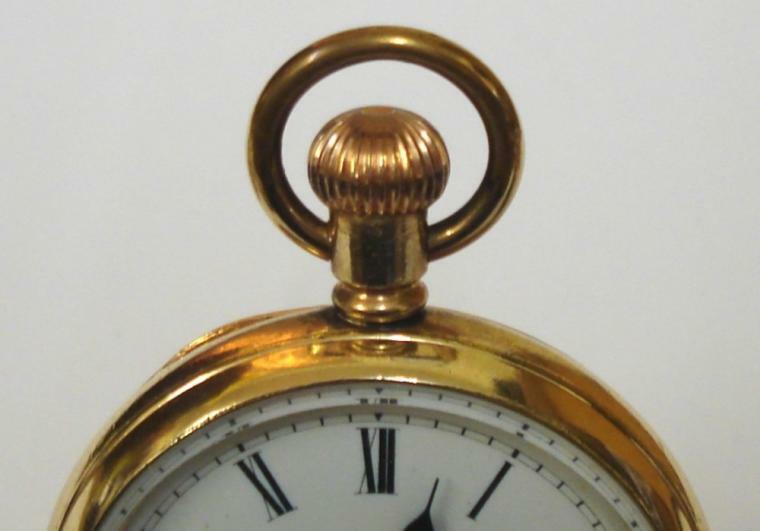 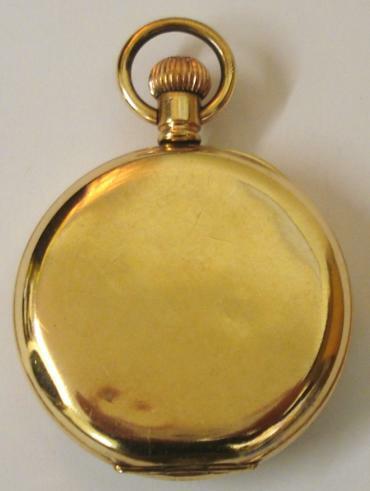 Stock Number: PWOF037 - Unsigned English Gold Plated Pocket Watch - £275. 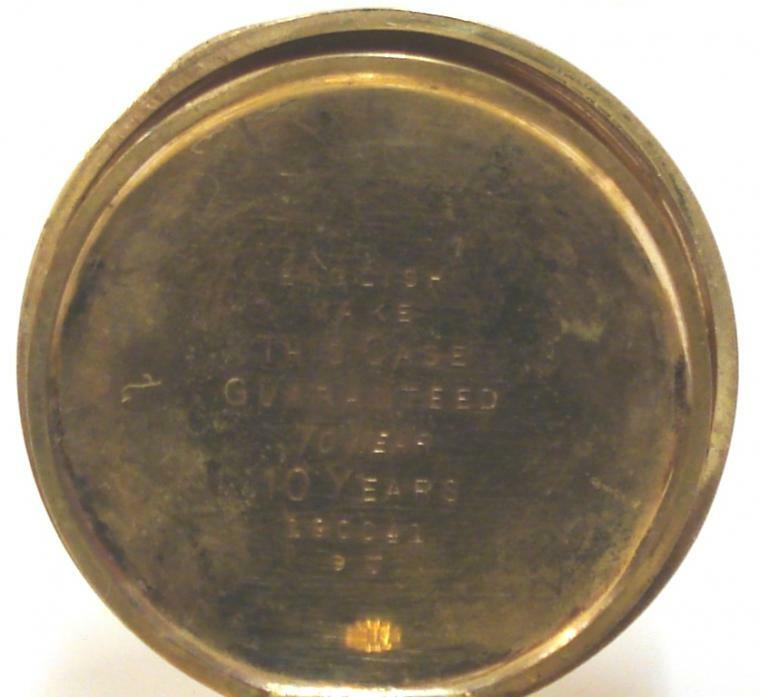 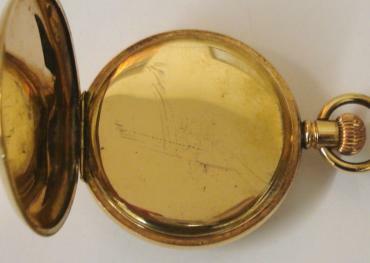 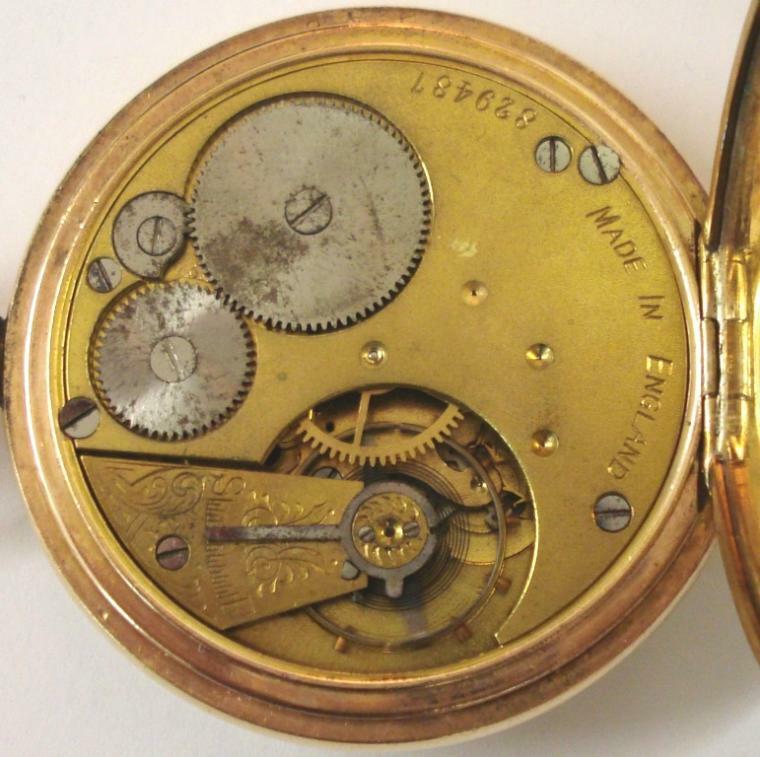 Unsigned English gold plated pocket watch in a Dennison 'Star' case. 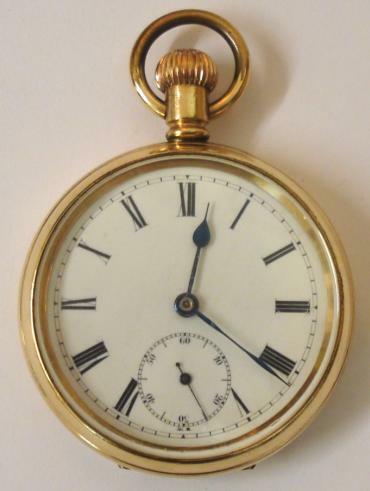 White enamel dial with black roman hours and blued steel hands with a subsidiary seconds dial. 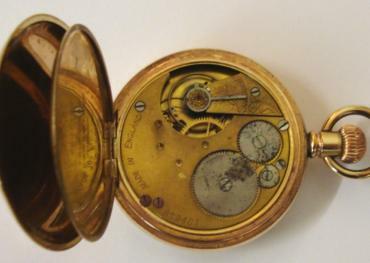 Jewelled lever movement with split bi-metallic balance and overcoil hair spring and stamped 'Made in England' and numbered #829487 with case number #190041.